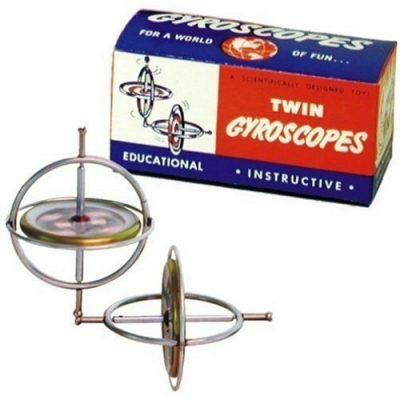 Original TEDCO Gyroscope packed in the nostalgic twin pack carton from the 1950’s. With two gyroscopes you can perform the “Double Team” balancing trick. Comes complete with starting strings, balancing pedestal and instructions.